Introducing research or are your students old pros? 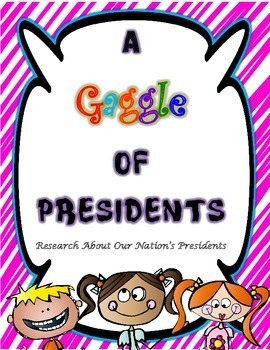 Regardless, this is a great activity for kids to use for researching the executive branch for President's Day! Your students will have 10 questions to research about a president that they choose or you assign. The answers can be written on the copy of the cards that they are given (you can even shrink them down to fit both pages on one copy!) or record them on notebook paper. Use this activity in a research center for purposeful practice! Enjoy! The frame was courtesy of Dancing Crayons and the scribble background is courtesy of the Amazing Classroom. Kids Graphics courtesy of Graphics From the Pond.